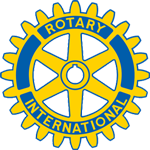 The Rotary Club of Kirkland Downtown Foundation (RCKD Foundation) is the 501(c)3 arm of our club that raises money to support our club projects. We provide funds for Community Service, Youth Service and International Service projects. We believe in supporting our local Kirkland community, particularly vulnerable Kirkland/Eastside children, teens and seniors. We work closely with KTUB (Kirkland Teen Union) to provide afternoon snacks and a monthly dinner where teens can gather, socialize and get a great meal away from home. We also support Kirkland Kids Packs, providing snacks and lunches to underserved children attending Peter Kirk Elementary. We also believe that service should be fun so we like to get involved in boots-on-the ground projects benefiting the people of Kirkland. We have volunteered with the City of Kirkland to help build stairs to the Cross Kirkland Corridor, build playgrounds in parks and volunteer time for yard maintenance for seniors at The Garden's at Juanita Bay. We are partnered with Junita High school to recognize outstanding achievement of High School seniors by our Student of the Month program. Students are invited to apply for scholarship monies that we provide to deserving students for college tuition. We are also one of the few clubs on the Eastside to sponsor both Interact and Rotaract clubs. We provide them with mentorship and guidance and support their community projects. Our club supports Imagine Scholar, one of the most robust and innovative youth development initiatives on the African continent. We are helping to reinvent rural education and revitalizing a community through the empowerment of young leaders.